With almost 40 years of experience, Renew is Australia’s leading green publisher. 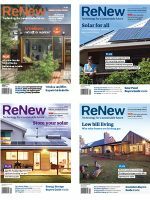 Renew: technology for a sustainable future is Australia’s premier magazine on practical sustainable living. 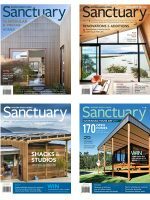 Sanctuary: modern green homes is Australia’s leading magazine dedicated to sustainable house design. Subscribe to Renew or Sanctuary magazine by 5pm (AEST) on April , 2019, to go in the draw to win a Stiebel Eltron hot water heat pump worth up to $5500! Prize terms and conditions here.